Type into Google ‘World’s best accountant’ and you will notice Oculus ranks at no 1. You might be thinking that’s a pretty bold claim? We haven’t done this to prove we are the world’s best Accountants (we know you have already established this) but more so to demonstrate how it’s possible to have your website climb to the top of the search engine ladder. Brendon Sinclair from one of Queensland’s leading advertising agencies managed to escalate ‘Oculus as the world’s best accountant’ from nowhere (outside the top 200) to number one in only two weeks! While it’s achievable to maximize search engine optimisation results, there are a few very important steps to ensure your website reaches the top! Identify key phases and key terms that you’re going to target. You need to think if someone was searching for your business, what would they type? For example we could compare ‘Gold Coast Accountants’ with ‘Coolangatta Accountants’. Gold Coast Accountants has many more searches and is highly relevant for us, where as ‘Coolangatta Accountants’ doesn’t feature as often. When deciding on your keywords ask yourself; Is the keyword relevant to the content on your website? Will users find the answers they are seeking when they get to your site? Will the increase in traffic lead to financial rewards? How do I perform Key Word research? There are numerous websites available to use as a free key word search facility. These sites will explain what key words are most appropriate and assist in finding the right keywords for your business. google.com/webmasters can check for duplicate content, check and set the crawl rate, you can see your most linked content and who is linking to your pages, see your place in the SERPs (how you are ranking) and set your preferred domain name. SEO for Firefox pulls useful market research data right into Google’s and Yahoos search results such as; PR (Google page rank), Age (pulled from archive) and links! Google Analytics allows you to see which pages received the most page views, can give you information about the least effective pages (including high bounce rate) and monitor how your visitors located your website. What do your competitors websites look like? Look at the title tags, the content, basic optimisation, targeted key words and how the site was developed. Investigate why they’re at the top of the search engine and you’re not. If you can improve your website with the right keywords, title tags and links then you will have a much higher chance of ranking above your competitors and reaching the top of the search engine. How important is the content on your page and how does it relate to your search engine ranking? This includes how to edit your page to aid a search engine ranking. 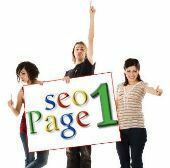 Page factors include things like title tag, heading, sub-heading, general content, Meta tag names and Meta descriptions. Title tag (is the wording in the blue strip at the very top of the page). Make sure you mention the key word or key phase that you identified as being important for that particular page. The title tag is the most important page factor for search engine ranking. The Meta description is very important as it’s used as a snippet that’s displayed when your page IS DISPLAYED in the search engine ranking. It doesn’t impact on the rankings, but it does impact on how many people will click on you in the rankings. For example ‘Worlds best accountant’ would be mentioned a couple of times throughout the page. However, be mindful to not overuse it, make sure it’s relevant and it flows. Don’t use it where it’s unnecessary. Put it in your headings, your sub-headings and throughout the content of your page. Make it sound natural, relevant and interesting. If it doesn’t make sense then don’t put it in. How DO links help get your website to the top of the search engine? Links are critical to getting you to the top of the search engine. By ‘Links’ we mean links from other web sites linking to your web site. So, what are the best links to get? Where do I get them and how do I know if they’re relevant? Look for links with similar businesses (for us it is financial services firms). The more links you have, the more likely Google will move your website up in the ranking as you appear to be more important. When Oculus starting linking with other sites we started moving up in the search engine listing, even before we started anything else. Be careful when choosing your links and have a think about what are the best links. Add one or two links every day and ALWAYS link to better quality websites. Assess your site and competitors sites – look at title tags, content and how the site was developed. What links do they have that your site doesn’t? By following this process Oculus become the “world’s greatest accountants” in two weeks. If you want to be the world’s greatest, contact Oculus today on how to get your website noticed.